Sale: $34.99 & FREE Shipping. You should always check with your doctor before taking a weight loss supplement or starting a weight loss program, especially if you are pregnant or nursing, on any medication, under the age of 18 or are under the care of a physician for an ongoing medical condition. 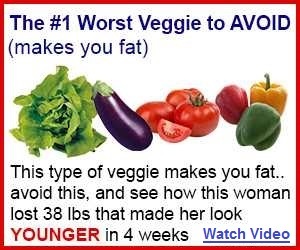 * This information is for educational purposes only and should not be used as a substitute for professional medical opinion. It is always recommended to consult a healthcare professional before starting any kind of supplementation. 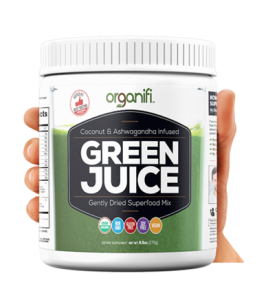 * The statements and product information have not been evaluated by the Food and Drug Administration and are not intended to diagnose, treat, or cure any disease. Garcinia Cambogia Extract Pure Max – The ‘All-Natural’ Solution To Healthy Weight Loss! Why Choose Zen Health Labs Garcinia Cambogia Pure Max? Our Garcinia Cambogia Extract Pure Max 3000mg dietary supplement is formulated using the very best all-natural ingredients in a GMP certified facility. 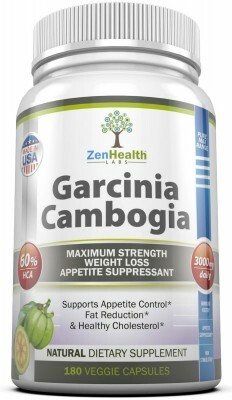 Our Garcinia Cambogia has 60% HCA (Higher than many other brands) and also comes in a large bottle count. For the same price other brands will sell you 60 capsules, we offer 180 capsules! 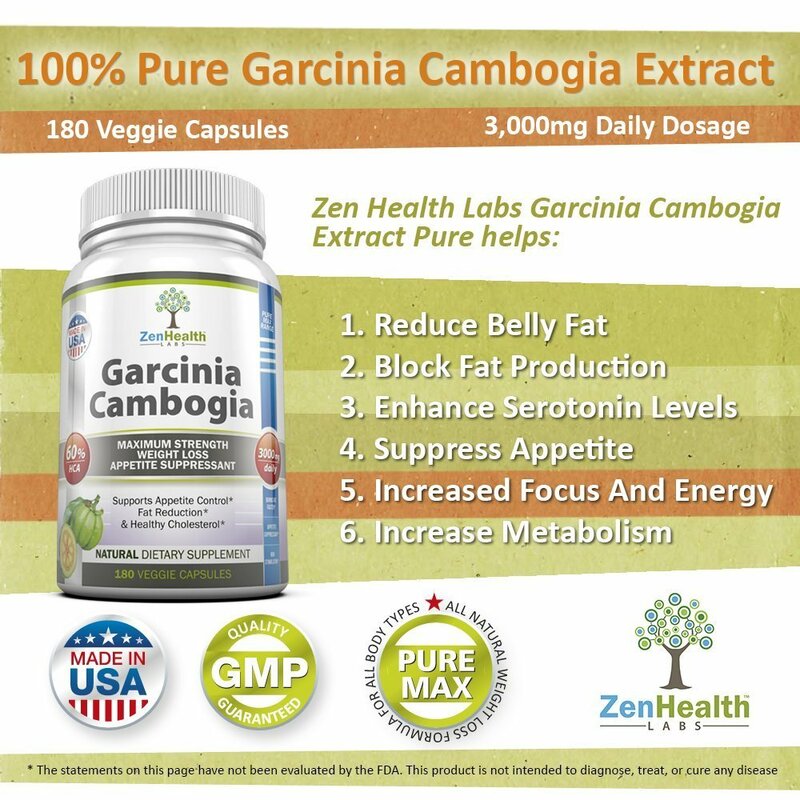 Our Garcinia Cambogia Extract Pure Max 3000mg is made in the U.S.A., following strict Good Manufacturing Practices (GMP), and we analyze every batch to guarantee the highest quality.